⊙ The Plan Apo 1X objective with high NA of 0.1 and high resolving power of 300 lines/mm is used. 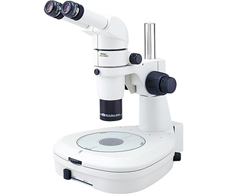 * Total magnification depends on the combination of eyepiece and objective used. 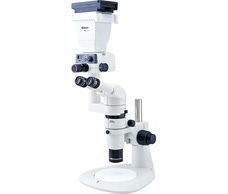 *Total magnification depends on the combination of eyepiece and objective used. 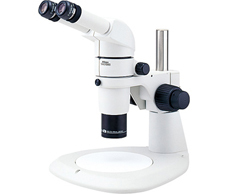 Total magnification depends on the combination of eyepiece and objective used. 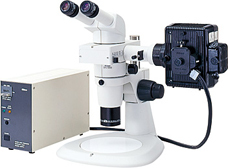 ⊙ Enables fluorescence observation of living cells with a stereoscopic microscope.